There are tons of apps out there that can help you be more organized (or claim to be!). 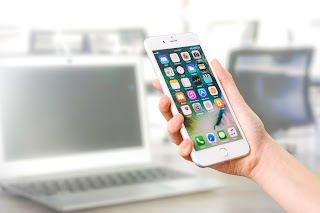 Getting any particular app will depend on what kind of phone you have (Android or iPhone), what kind of apps you will need for your specific organization needs and if you’re willing to pay for an app. 1. Do you want all of your information in one place/system, or do you want all of your info in separate apps? For example, should your calendar, to do list, grocery list, reminders and more all be in one place? Or, do you want to go to one place for scheduling and another for notes? 2. How many bells and whistles do you want? Do you like to keep it simple? Will you use lots of features if they're available to you? 3. How much time do you want to spend learning the system? Will it take a few minutes of intuitive snooping? Or, are you willing to watch a few tutorials and read some reviews over the course of a week or so to really know all the things you can do with the app?